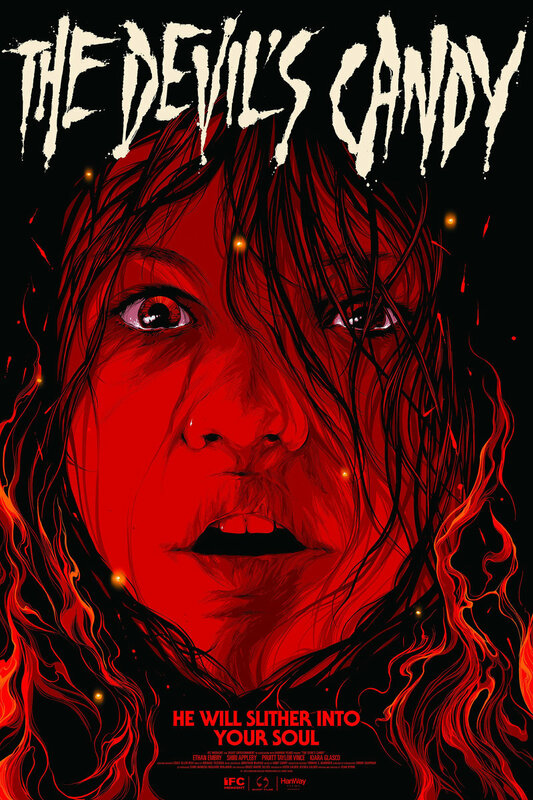 The Devil's Candy DVD and Blu-ray release date was set for September 26, 2017 and available on Digital HD from Amazon Video and iTunes on March 17, 2017. An electric guitar figures prominently in this horror story about a small family and their encounters with a psychopathic killer. Jesse, Astrid and their daughter Zooey move into a home, hoping to save money even though they are warned not to purchase the place due to its past. Once they move in, a previous inhabitant offers Zooey an electric guitar, and that leads to strange and scary interactions that sends the family careening toward a terrifying conclusion.